Rupert Hogg, 51, will take up the position of Chief Operating Officer of Cathay Pacific Airways from March 2014. 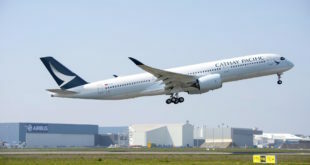 At the same time Hogg will become a Director of Cathay Pacific.Hogg takes over in the role from Ivan Chu, who will become Cathay Pacific’s Chief Executive. 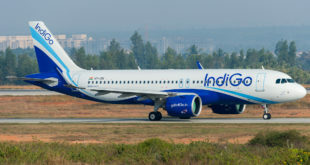 The current Chief Executive, John Slosar, will succeed Christopher Pratt as Chairman of the airline, John Swire & Sons (H.K.) 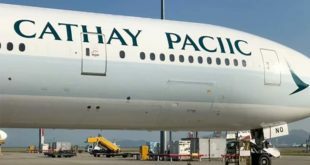 Ltd, Swire Pacific Ltd, Swire Properties Ltd and Hong Kong Aircraft Engineering Co. Ltd.
Hogg is Director Sales & Marketing – a position he took up in August 2010 with responsibility for Cathay Pacific Group’s sales and marketing activities worldwide. From 2008 to 2010 he was Director Cargo, overseeing all aspects of the Group’s cargo business including operations, marketing and sales. Mr Hogg joined John Swire & Sons in 1986 and worked with Cathay Pacific from 1988 to 1997 in a variety of management positions, both in Hong Kong and South-East Asia. From 2002 to 2008, Mr Hogg was Managing Director of James Finlay Limited – a wholly owned subsidiary of John Swire & Sons Limited, and the holding company of a group engaged in substantial tea and horticultural businesses. From 1998 to 2002, Mr Hogg held management positions in the Swire group in Australia.